The wool is off the beasties. Next step? Washing. Our friend Gail is a great collector of, and creator with found objects. But occasionally she casts things off. It's good to be in her line of fire when that happens. 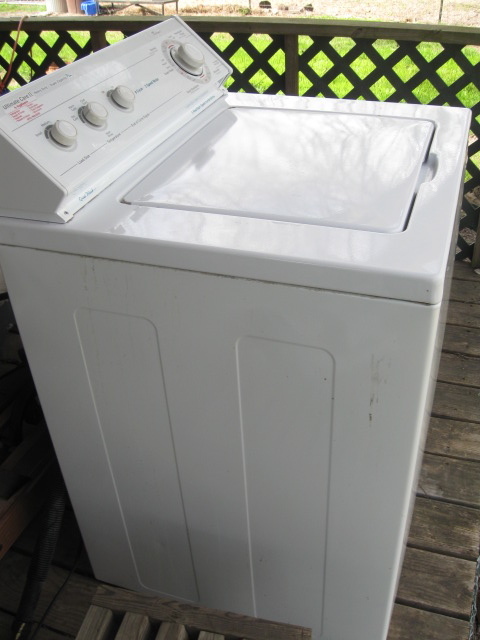 Today, she relinquished a perfectly good washing machine that will live on the back porch and become Wool Washing Central. I've named her Wanda the Whirlpool. And Whirlpool promises that she'll be the answer to all our wool washing dreams. Good thing, too, because I think there's 100 pounds of wool to get clean this year. Starting the next lovely day. Saturday? I hope you show this process. I'm guessing that you put it in a pillow case or something? I can't imagine it going into the washer and coming out anything other than a ball, a big fuzz ball. I'm so excited for you!!! What great news!! I just soaked nine hanks of yarn in my washer yesterday, spinned them, and hung outside--they were dry in about a half hour!!! Nothing like a spin cycle to enrich your life!!! LOL Crazy what makes us so happy, huh???? Thanks, Lynn... 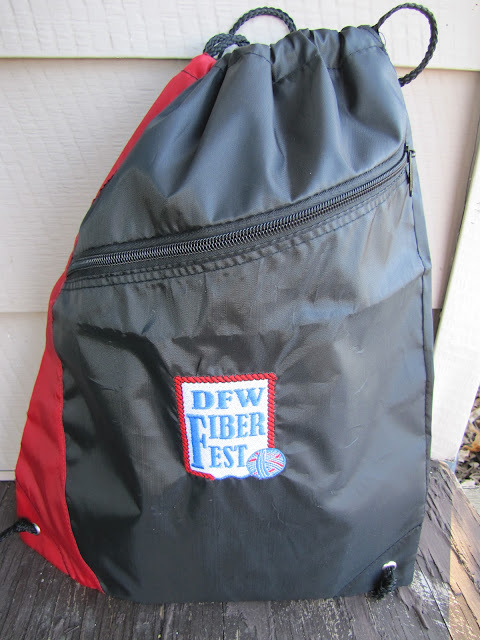 I plan to put the fiber in mesh bags. And since I won't actually be hooking it up to plumbing, I'm going to fill the tub with a hose from my utility sink for hot water. Then after soaking, I'll drain and spin. I'd love to disable the agitation setting so there won't be any felt accidents! I'll try this system out on "icky" wool before I put my good fleeces in it.